X-Men comics are a daunting thing to comic book newcomers. The franchise has one of the most extensive mythologies in history. There have been as many as a dozen X-Men books being published at any one time every month. And there are literally hundreds of characters, heroes and villains, making up the continuing saga of people born with genetic mutations, who use their powers to protect a world that hates and fears them. Where do you start in all of that? It’s a fair question and everyone has their own opinions on the subject. The obvious answer is “at the beginning” but the classic Stan Lee and Jack Kirby X-Men is a totally different beast than what came after Chris Claremont and John Byrne revived the series in the 1970s. And even their stories are totally different than the more recent Morrison/Quietly or Whedon/Cassady runs often held up as the “Best X-Men Ever!” (You just read that in the Comic Book Guy’s voice, didn’t you?) Unfortunately, for all that Uncanny X-Men #1 does right in trying to present a good-old-fashioned X-Men story, it also falls into the same traps that have plagued the series for most of the last two decades. If you are a newcomer and don’t already know who all of the characters are, you’ll quickly become lost trying to keep track of all the players. If you’re already an X-Fan and –do- know who all the characters are, much of what you see in this issue will be old hat. Case In Point: The credits page for this issue explains the basic idea of the X-Men and how there is one team of superheroes led by Jean Grey and a school for young mutants run by Kitty Pryde. There is a roster of character names and pictures, but this won’t help much as there are characters in the story not listed on the roster. Indeed, the very first page of the main story introduces Jamie Madrox (aka Multiple Man) and shows multiple copies of him running around trying to avert some disaster. The fact that Madrox has had access to a time machine since the Multiple Men mini-series last year is not explained. Herein lies the biggest problem with Uncanny X-Men #1 – it assumes too much of the reader and doesn’t allow for the possibility of a newcomer seeking entry into its world. This is something of a problem for a #1 issue! Ignoring that, there’s way too much going on in this issue, with three separate plot-lines and 20 characters. And that’s just in the main part of the book! There’s also three back-up stories, which eventually meet and turn into a large single story. All of these stories are full of action, but there’s little chance to get to know any of the characters as being more than powers and a codename. Heck, some of the characters don’t even get that much and spend the story standing in the background! Established X-Fans will fare slightly better, but may not find anything new here. The ideas of a vaccine to cure mutation and an anti-Mutant Senator turning the populace against mutants have been done before in the comics and the movies. Heck, even the characters themselves seem to be snarking on how “been there, done that” the story of this issue is. The artwork is competently executed throughout. Unfortunately, like the stories, there’s little that is truly fantastic that stands out or grabs the eye. The one exception to this is the Jean Grey story written by Kelly Thompson and drawn by Ibraim Roberson. Brief though it is, Thompson manages to convey everything you need to know about who Jean is as a person in one monologue and Roberson draws the most gorgeous Jean Grey I’ve ever seen, while fitting an amazing amount of detail into every panel without losing any sense of clarity. 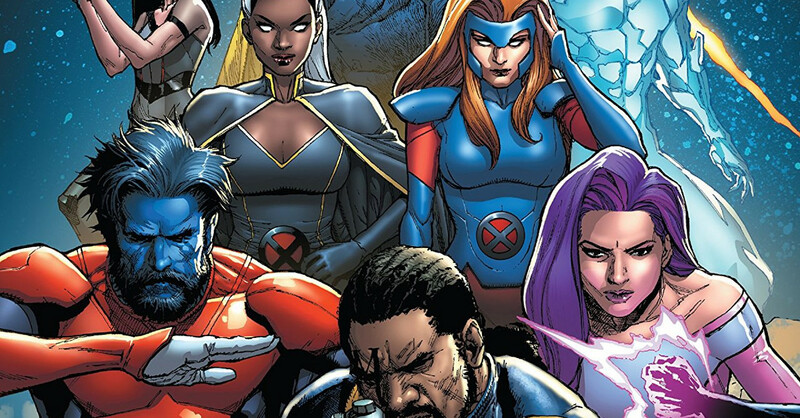 In the end, X-Men fans will find Uncanny X-Men #1 to be more of what they like. Newcomers looking for an entry point into the world of Marvel’s Mutants would do better to check out X-Men: Red, which I think may well be the most friendly X-Men comic in years, as well as one of the best. And bonus – the first TP just came out last month. 6/10 Uncanny X-Men #1 releases on November 14, 2018!